Cannot decide to which breed i will be using. Tell us about yourself: (Personal Trainer) I'm a fitness fanatic. If you have anything health related you can ask. I will be looking to get a quality DS soon though for FR or PSA. Also, I will be applying to become a police officer. And hopefully a few years down the road into the K9 subdivison. Thank's for visiting my profile. Re: Cannot decide to which breed i will be using. Absolutely ! i'd love that. But you're right i don't think i'm experienced enough to take on both at the same time, i think i will start out with FR then move on to PSA.. FR seem's to be a little more consistent, Which will help me get the hang of things then i can move on to something entirely new.. I think that's a really good suggestion there! and definitely get Hendrix in them. I'm sure he'd love it just as much as you will, Hopefully Mine too. 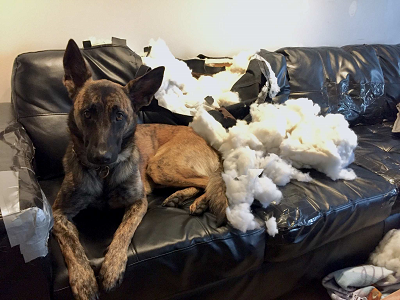 Tell us about yourself: I have a small kennel breeding working line Dutch Shepherds, and just stumbled on this forum while browsing the internet. We train our dogs in police K9 work primarily, with hopes of being able to compete in the near future. Marta W on here, has done both FR and PSA. She's in the Toronto area, try sending her a message to see if she knows of any training clubs in your area. I would highly recommend going with whichever sport club you were able to attend on a regular basis. i have heard of her, i have checked out her Page and will send her some PM's once i'm ready to purchase a dog ! I will definitely ask her if she knows of any clubs around her area. A handfull as a puppy is an understatement !! I'm on my second glass tonight. Hendrix decided it would be fun to roll in the vomit we found on the street today. Someone had too much fun Saturday and decided to spread the, uh, fun. Remind me again what part of Canada you're in? Toronto? The breeder I got my guy from breeds mainly sport/police guys but he's in the US. At one point while I was working in Toronto we were going to drive to Detroit to pick him up, which the breeder was fine with. Plus bringing a pup into Canada is crazy easy. If you're clear about what your life style is and what you're looking for, any breeder worth their salt will be able to provide you a great pup. I joke my guy is almost too perfect - traumas, flaws, jaws, and all - for what I said I wanted. I know I'll try Hendrix in FR and PSA in his lifetime! I plan to do this too. I want to get a PDC on Elli this year and then take the CSAU when the boxer club in Indiana offers it again in the fall. That test is pretty easy compared to the PDC and getting it out of the way now would be great. I'm only shooting for a PSA 1 with Elli just to get my feet wet before getting a puppy that's a little more solid, but I figured I'd try for a Brevet maybe for kicks after we meet our goal. Also, where have all the great posts like these been hiding out lately? Megan and Selena, it's nice to hear from you guys on a topic with your knowledge of the breed. Aha, dog's are just great at spreading the.. "Uh, fun" Aren't they? And i'm up by Hamilton, Ontario to get to toronto it's about a hour's drive. No matter what breeder i pick. I'm going to ask to see their dog's in action and quite a few other things. Only requirements i'm wanting for the pup is for him to be on the ball.. I have found a few but im still looking into all the breeder's around here.. I wan't to get the best breeder possible or one of them anyway. It's great though that pretty much all DS pups can give you what you want unlike the GSD's today :/ I really hope they don't get ruined. Fortunately most people can't attain this much "awesomeness" From the breed aha !Ill check into some breeder's down in the states who are close by Ont. It's good you're putting your due diligence in! If you can, try to meet the parents. You can tell a few things from the pup but since they're so young it's hard to tell what their personality will be like grown. Drive, confidence, soundness, social ness are a few factors you can see and influence as a pup. Of course this is me repeating what I learned online, so anyone who knows more can (and please do) correct me. I got my guy from Bunkerdogs USA. I think CherCar is also in MI but towards the middle of the state. Calling and talking to the breeders will also help you learn more about them and their lines. Ask a zillion questions! I probably made my breeder cry with as many questions as I had but he was a good sport about it. The people on here know done awesome quality breeders ad with as much research as you're putting in in sure you'll find an awesome pup! Hopefully with a few of us going into PSA and FR this part of the forum will get some more action. I agree - it was nice to hear from Megan and Selena! I agree, Question's are absolutely wonderful. The puppy i chose, will most likely be the one that's not shying away from me and is very adventurous not the puppy that get's picked on by the other ones, Not a puppy that is overly dominant.. I wan't a good solid one. I'm going to be checking out to see which one is going all over the place looking for stuff not to puppy play oriented.. ( I know the difference.. Been to quite a few GSD breeders) Didn't give me what i wanted, Finally found Skye and she's offered alot but i need to work on her OB. I agree 100% with Kira in asking questions. write them all down as they pop into your head. talk to the breeder about what your plans are, what you want in a dog. watch their dogs work. The trainer I got my dogs from really showed me his dogs working, what the sport was, what these dogs do. He pinned it right with the dogs he got for me. Aha i've already got a decent list, You've answered some though, I personally would like to visit the dog breeder multiple times (seeing the puppies) etc and the parent's see what they're made of. LyonsFamily wrote: I will say that if you're planning on translating to real life tracking, the IPO forced track might drive you nuts. Just wanted to chime in here, but I think maybe there is some mis-understanding about IPO and tracking. Although there is an option of "force" tracking ( just like "force" heeling, "force" obedience, etc etc ) , it is not commonly done ( it may have been at one time ). My boy does IPO ( he's a 5x IPO3 and 1xFH1 so far ) , tracking taught motivationally. Honestly there really wasn't much teaching as he's a natural tracking dog. We also do the sport version of scent work ( NoseWork ), he's the first Dutch Shepherd to title at both level 1 and level 2. Also the first AKC TD titled Dutch Shepherd. Finding a dog from proven tracking/scenting lines will make things so much easier in that respect. I also have one of his offspring ( a daughter ) and she is proving to have inherited his nose Others from the same litter are in SAR and HRD homes, also doing well. Anyway, not to detract from the OP and their search for information. I didn't mean it was rough and forceful, I teach a forced fetch for retrieve and it's by no means rough and forceful. I think a lot of trainers have put the word force out as being something awful, and it's not, same with punishment. I honestly can't stand the force free label that a lot of positive only extremists are putting out there. I was talking about the style of tracking required for points. In IPO, the nose is required to be down the entire time and the dog moves slowly, footstep tracking, rather than a natural tracking through drive. The dog is still forced into a specific pattern, even though it may be taught without any harm to the dog. Footstep tracking doesn't translate well to real world work such as SAR or criminal pursuit that a police k9 will be trained in because it's so slow and methodical. Those dogs need to learn to ground and air track and be much faster.